Create Climate Justice Net was created to give UU climate and environmental justice activists and coalition partners a valuable tool for education, collaboration, and organizing. Create Climate Justice Net is a joint initiative of the Unitarian Universalist Ministry for Earth, Unitarian Universalist Association Green Sanctuary Program, and UU-United Nations Office. 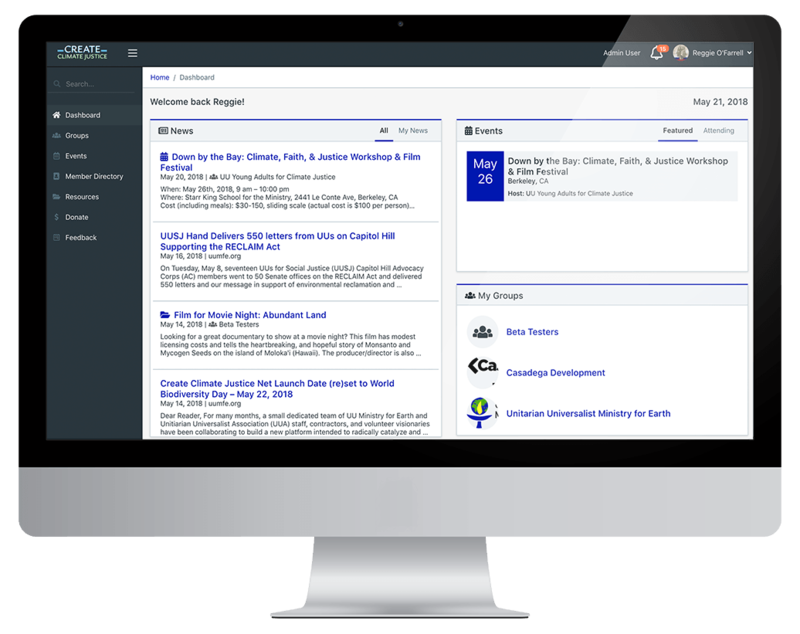 Groups are the primary feature of Create Climate Justice Net. Join or create a group to get organized with your congregation, state action network, etc. or to join a learning community or caucus! Use Create Climate Justice Net to help your group keep track of or promote events. Event features include a downloadable attendees list, visibility settings options, & ability to promote events on the News Feed. Resources are uploaded in group pages and can be a website link or file for download. Use this feature to organize key documents for your group, or share an exciting resource with all site users. Create Climate Justice Net is designed to catalyze networking and community building. Features include a members directory and the ability to receive and send emails to other site members. Questions, comments? Don’t hesitate to get in touch!